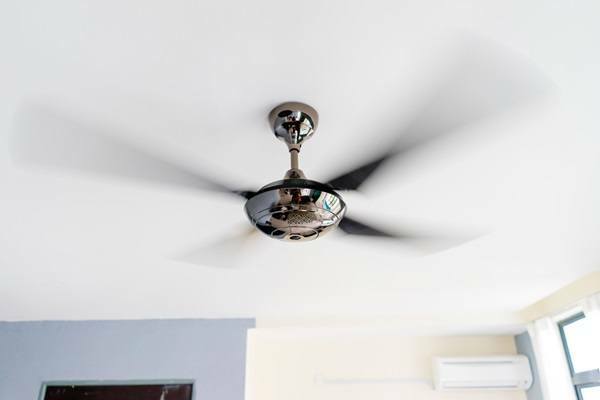 Maybe a ceiling fan is not something that fits your home and if so, there are other options to look into if you want to circulate air around the room in your home. Having said that, with many other ways to cool and circulate air and in the interest of a balanced view, I have written numerous guides about tower fans as well. Tower fans may not be as permanent in their design, and they take up some floor space in your home which can be a little awkward, but they also have the benefits of being portable as well as generally more affordable. There are some very good tower fans on the market, as I have explored in my reviews and guides within this section of ceilingfancomparison.com. Tower fans can be cheap and flimsy if you don’t find the right brands or understand exactly what you need, hence us having a whole section of my website devoted to it. How to Clean a Tower Fan? What to Know About Tower Fans? Tower fans are good for large living spaces because they can redistribute and direct the air across the room. They work exceptionally well with your air conditioners. These fans can remove carbon dioxide and keep the air in the room healthy and don’t make much noise either. There is a huge variety of tower fans available from different brands on the market. Now, making a choice from such a massive list can become an overwhelming task. Therefore, you need to make sure that you identify your needs and preferences before you finalize your purchase. It will enable you to extract more value from your money. Some of the top brands include Lasko, Dyson, Ozeri, Seville, and Alen. Tower fans have become very popular due to their exceptional performance. These fans are good at shifting the air and many of them come with various air treatment characteristics. They can collect dust and dirt and you have to clean the build ups of these particles to improve the performance of your fan. Before you begin with the cleaning process, it is important to protect your face and eyes with the necessary gear first and then dismantle the fan. After that, you need to prepare the can of compressed air and clean the panels carefully with the right angle. You will also need a garbage can to dispose the debris that came off the panels. Following these steps will not only keep you safe but will also enable you to enhance the performance and durability of your tower fan. Tower fans are excellent for cooling your home during summers. It comes with a long rectangle column that can direct air in downward and upward directions across the room and is a great option for large living spaces. It is very easy to install and you can operate it with a remote control as well. It is a good choice to work with your air conditioners to save energy in regions with mild climates. These fans are good space savers too, with a very small footprint. Furthermore, these fans can also save approximately 60% of energy as compared to a regular fan. The primary features that you need to consider before you buy a tower fan are width and height dimensions, the materials used for the construction and remote control accessibility. The huge range of features of tower fans, and the fact that they are so different to ceiling fans, can make it difficult to work out which are the best offerings on the market. You can go ahead and purchase a cheap tower fan, but it will probably be flimsy and not last long unless you know what you’re looking for. The range on the market is astounding. Tower fans can have remote controls, they may have eco modes, timers and other control functions making them easier to use. This all adds to the price, of course. In my tower fan section I look at the merits of tower vs ceiling fan options and also explore some of the best models to purchase, whether you’re on a small budget or you’re looking for the very best of the best, with all the bells and whistles. I even have a buying guide and information on the maintenance of tower fans.